PORKEY GOES HAWAIIAN: THE BEST WRAP YOU'LL EVER TASTE! Box Lunch is a small chain of restaurants on Cape Cod that specializes in unique wraps. It's also the home to the best wrap I've ever tasted. 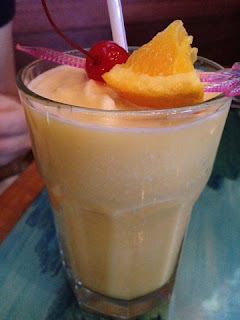 It's called Porkey Goes Hawaiian. 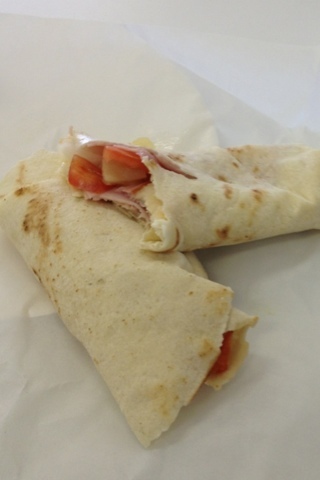 It's a savory mix of three melted cheeses, ham, tomatoes, mayo and a special sauce all warmed up. I usually get it with a cup of Cape Cod clam chowder. 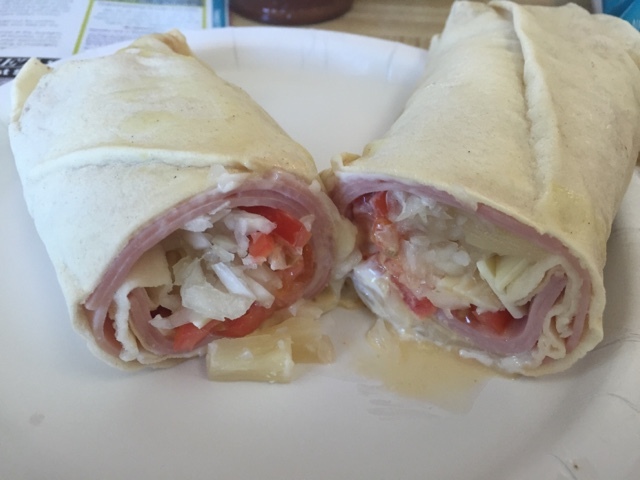 Try this sandwich the next time you vacation on Cape Cod! If you're ever in downtown Hartford, CT, check out the Arch Street Tavern. 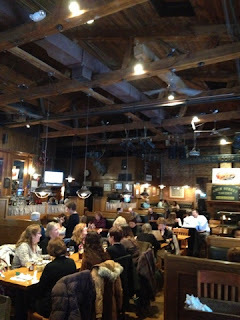 Located across from the Connecticut Convention Center, the place is always packed for lunch and for good reason: good food at a good price. Drink up at their bar or sit at one of the many tables in their open dining room. 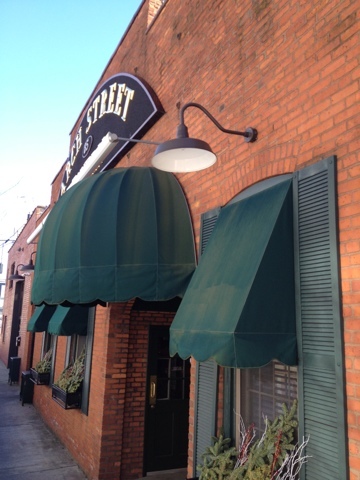 Arch Street Tavern offers traditional comfort food and more than 20 beers on tap to wash it all down with. 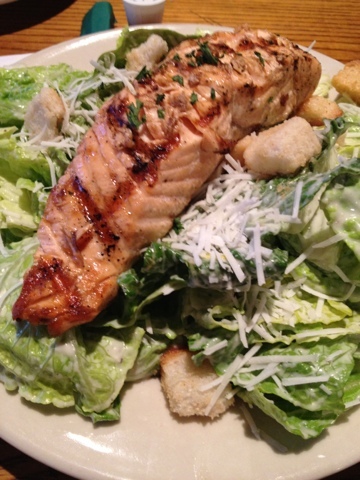 I've tried the mac & cheese with bacon and the salmon Caesar salad (pictured below). Both dishes were tasty and filling. I also saved room for some cheesecake. No fruit on top, but it didn't really need it. Plenty of whipped cream on the side. * You will have to pay for parking, but it's cheap. * If you go in the winter, try to get a table next to the roaring fireplace at the back of the house. * Arch Street also hosts local bands at night. You'll see the posters up for who's playing. 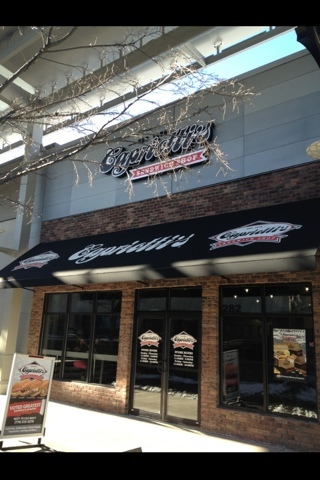 If you're looking for a tasty sandwich on the go, then try Capriotti's Sandwich Shop. I first heard about Capriotti's on an episode of Unwrapped on the Food Network (see below) and was psyched to find out the chain was coming to Massachusetts. It's located at Patriot Place in Foxboro right across from Toby Keith's I Love This Bar & Grill. 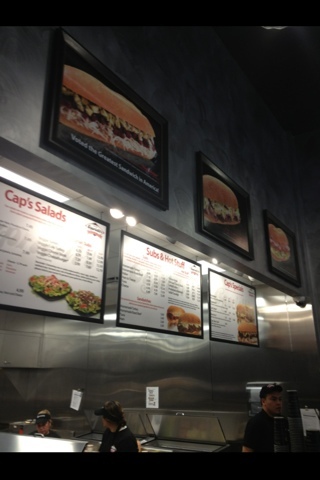 Capriotti's was founded in Delaware in 1976 and now has shops all over. Their signature sandwich is called The Bobbie. It's made with turkey, homemade stuffing, cranberry sauce and mayo. You can get it cold or heated up. I tried it and it's delicious! Sandwiches come in three sizes that run large. I ordered a medium Bobbie, which is the size of a large anywhere else. Capriotti's offers a wide variety of other sandwiches and salads and has many options for vegetarians. Be sure to check it out the next time you go to a Patriots game. Plain cheese pizza has always been a bore for me. I've gotta have toppings on my pizza. The more unique, the better - and that's why this slice of pizza reigns supreme. You're looking at the lasagna pizza from Via Via Pizza in Newport, Rhode Island. 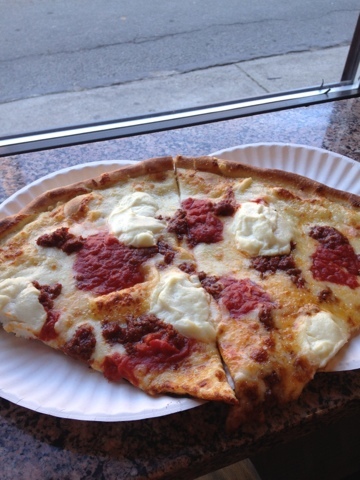 Each generous thin crust slice is covered in mozzarella cheese with generous dollops of ricotta cheese and meat. The end result is an incredible flavor combination that hooks me in to Via Via each time I'm in Newport. BREAKING NEWS! CORNER BAKERY CAFE IS COMING TO NEW ENGLAND!! One of my FAVORITE national chains is finally coming to New England. 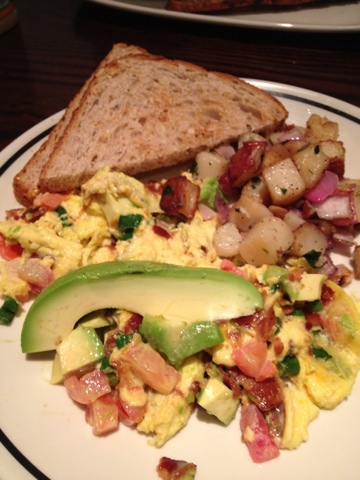 Corner Bakery Cafe is a legend in Chicago, where it was founded in 1991. The cafe is now open in 14 states and Washington, D.C. and soon the Corner Bakery will be expanded to New England. The Corner Bakery plans to open 18 - yes 18!! - locations in the Boston area in the coming years. They will also be opening several locations in Rhode Island and Connecticut. If you go for lunch, try one of their hearty pastas. They have chicken carbonara and bacon & tomato mac & cheese. They also have delicious salads and paninis. The Yardhouse is one of my favorite national chains and their chicken nachos are a big reason why I keep going back. Unlike typical nachos, these bad boys don't have any salsa and they really don't need it. They are slathered with cheddar cheese, chicken, spicy pinto beans, cheddar, jack, red and green sauce, tomato, cilantro and onions. They also come with plenty of guac and sour cream for dipping. 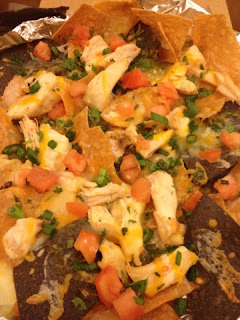 At about $12 a plate, you really can't go wrong, especially if you pair the chicken nachos up with one of the more than 100 beers the Yardhouse has on draft. Big, crispy bagels with a hearty portion of cream cheese. It's a tasty breakfast that can be found at Rosenfeld Bagel Co. in Newton Centre in Newton, Massachusetts. This place is a legend in Newton and for good reason. 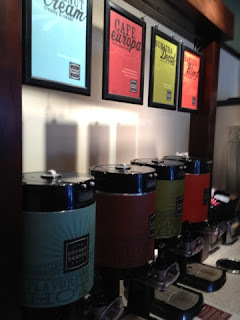 They make their own bagels right in the shop and they come in a bunch of tasty flavors. There are plain, onion, everything, salt, egg and even chocolate bagels. Top off your bagel with a variety of cream cheeses. Rosenfeld is also known for its delicious challah, which I never seem to leave without buying. Open since 1972, Rosenfeld Bagels is a favorite in Newton and with the critics. It's won the Improper Bostonian's Best of Boston Award for bagels. Be sure to check out the Rosenfeld Bagel Company, but don't stop by early in the week. They are CLOSED on Mondays and Tuesdays. 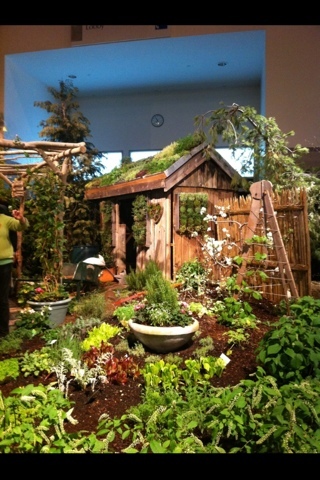 The Rhode Island Spring Flower & Garden show is always a lot of fun, but this year, there's an added bonus for us food lovers. The event will feature a food & wine festival! 100 wines from across the globe will be featured and there will be plenty of sampling. There will also be award-winning chefs on hand cooking up some of their favorite dishes. While the flower show is open to all ages, you must be 21 to enter the food & wine festival. Tickets are $19, but if you have AAA, you'll save $2. 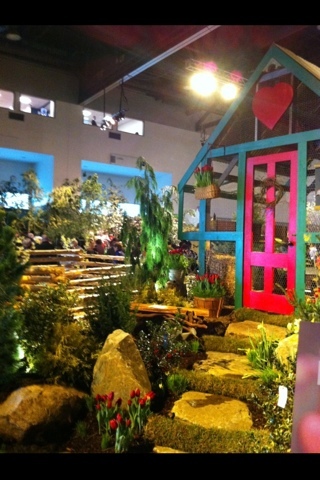 The RI Flower Show is next week at the RI Convention Center, February 21-24. You can buy tickets now or at the door. If been many times. The pics from below are from the 2011 show. While I'm blogging about Chicago, let me point out an AMAZING place to get popcorn that's based out of Chicago. 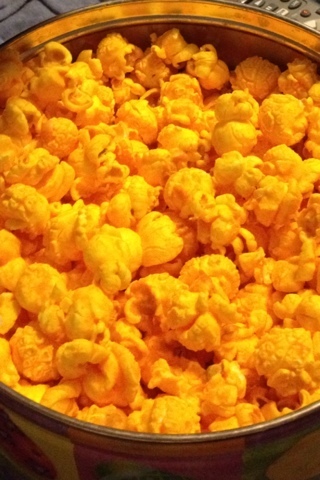 Garrett's Popcorn is legendary in the Windy City for good reason. It melts in your mouth. I tried Garrett's for the first time last winter and have ordered it twice online since. My favorite: the CheeseCorn (pictured left). You can't put it down once you've started snacking on it. There are several other flavors including Buttery and CaramelCrisp, but I'll probably never try them since I'm already addicted to the CheeseCorn. You can order a decorative tin of their popcorn online. It comes in several sizes from one gallon to 6.5 gallons. It's a great treat to help you get through these cold winter months. HOW ABOUT A HEART-SHAPED PIZZA THIS VALENTINE'S DAY? 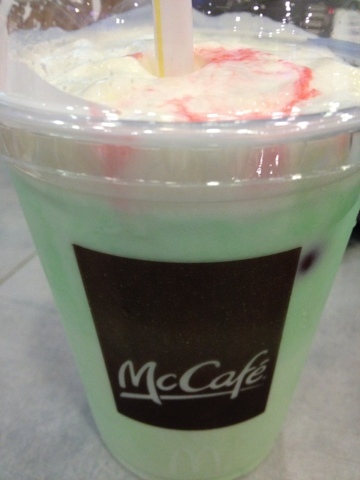 THE SHAMROCK SHAKE IS HERE! It's that time of the year. The legendary Shamrock Shake is back at McDonald's. It's worth breaking your diet. And while you're at it, why not grab a Filet O Fish? You're probably laying down after spending hours shoveling out from the blizzard of 2013. So, why not escape to somewhere tropical? 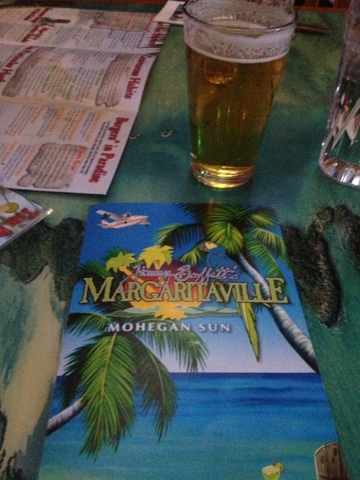 You can find Jimmy Buffet's Margaritaville restaurants at vacation spots all over the country. There is one in New England, at Mohegan Sun in Connecticut. So, take a look at these pics, close your eyes and try to picture yourself wasting away in Margaritaville. GET READY FOR A BLIZZARD! Get ready, New England. A Blizzard is on the way. Here it is. 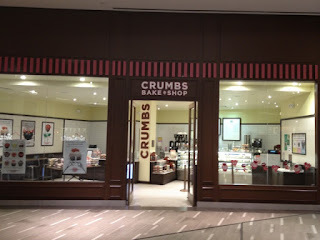 The Crumbs Bake Shop inside of the Natick Mall. 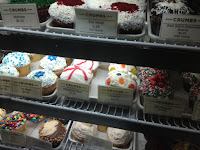 They have cupcakes in three different sizes, depending on how much you're counting calories. 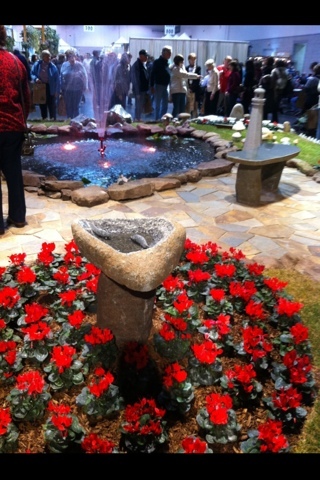 It's located on the second floor, right about the water fountain. And, yes, it turns out they do have the Ba Ba Booey! CRUMBS BAKE SHOP NOW OPEN IN BOSTON! 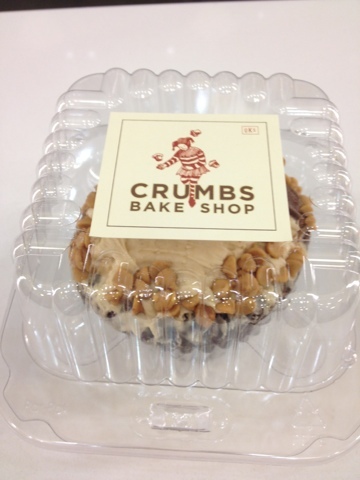 If you've ever listened to the Howard Stern show, then you already know about Crumbs Bake Shop in New York City (and now in Massachusetts)! 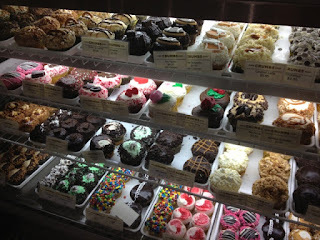 They are famous for their sinfully sweet cupcakes that come in a range of unique flavors. Get a chocolate or vanilla cupcake somewhere else. 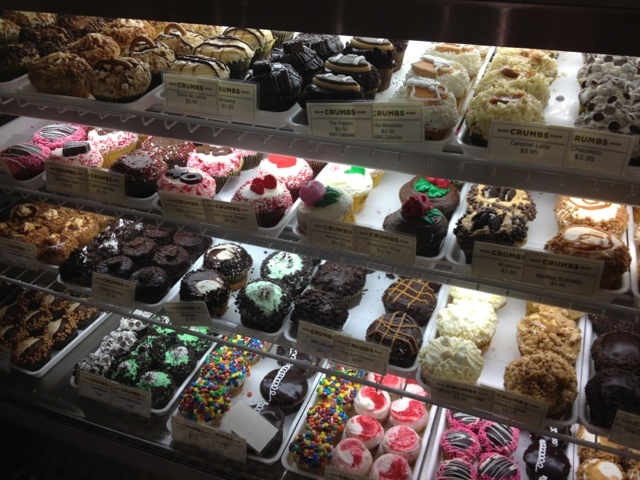 When you're at crumbs, go all out. Try the Apple Cobbler or the Grasshopper or the White Hot Chocolate. Longtime Howard Stern producer Gary Dell'Abate is huge fan of Crumbs and is always talking about it on Stern's Sirius/XM show. So much so, that in NYC, you can get a cupcake called the Ba Ba Booey (Gary's nickname). I've had it twice and as I'm writing this, I wish I was eating one right now. The Ba Ba Booey is a chocolate cupcake filled with cream cheese. It has two kinds of frosty - chocolate cream cheese and peanut butter cream cheese. The frosting is topped off with mini peanut butter chips. Amazing. If you're craving one and live close to Boston, you're in luck. Crumbs has opened up several shops in and around the city. There are now Crumbs Bake Shops in the Prudential Center and the Natick and Burlington Malls. 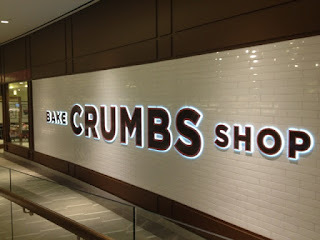 Crumbs will also be opening up at South Shore Plaza. If you didn't get a little choked up watching the Budweiser Clydesdales spot during last night's Super Bowl, than you, my friend, simply have no soul. This is advertising and creativity at its very best. 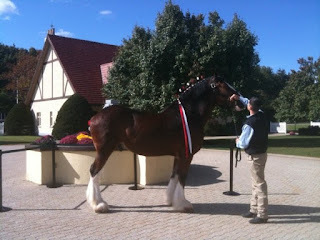 By the way, you can see the Clydesdales for yourself right here in New England. 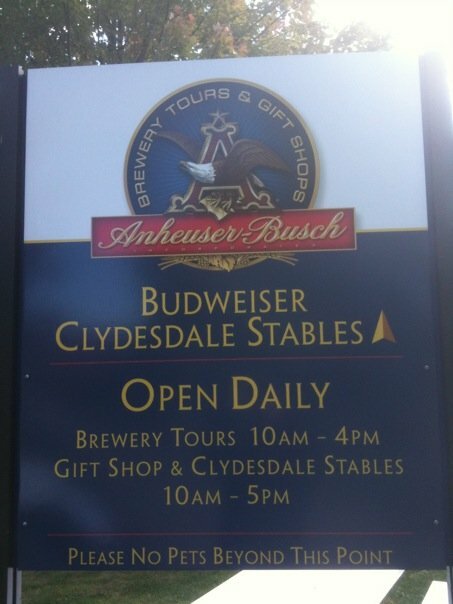 There's an Anheuser-Busch factory in Merrimack, New Hampshire. It really is a great day trip. You'll know you're close when you start to smell the hops in the air! Once inside, you can take a tour of the factor, buy some beer and merch and yes, you can get get up close and personal with the Clydesdales. 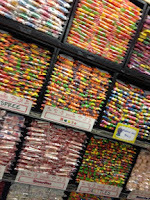 Candy piled high from the floor to the ceiling. 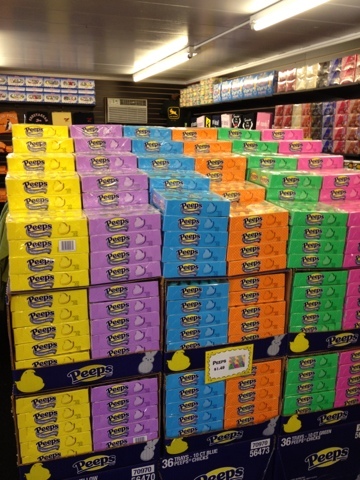 It may sound like a dream you had as a child, but this is sweet reality at Yummies in Kittery, Maine. Walking in to Yummies for the first time can be overwhelming. You really don't know where to look first. 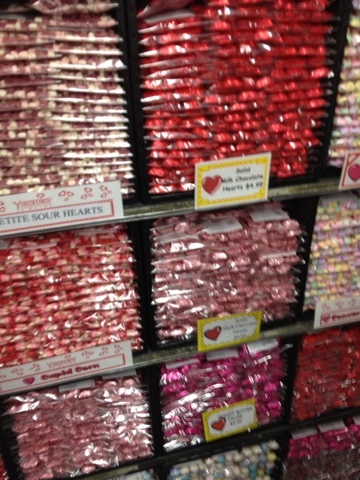 There are bags and bags of everything from Pez to chocolate-covered pretzels. 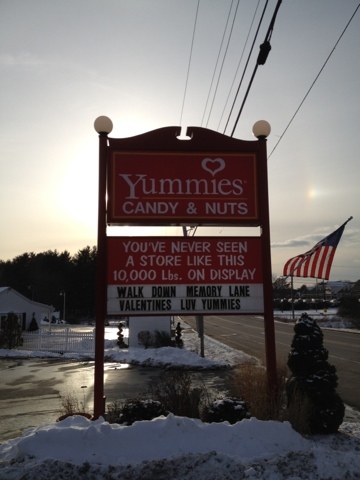 Yummies also prides itself on carrying a huge selection of hard-to-find delectables. You know, the candy you ate as a kid. 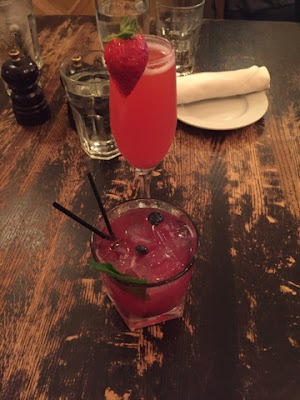 We're talking everything from Sky Bars to Teaberry Gum. There are also seasonal favorites. 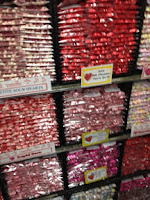 Right now, you can feast your eyes on sweets for your Valentine and piles of Peeps. It's really worth the trip to drive to Yummies to see the store for yourself, but if you don't have the time to drive to Kittery, you can order whatever you'd like from Yummies.com. Just don't tell your dentist. Winter in New England can be boring. Depressing. Damn cold. But fear not, Restaurant Week in Boston is on its way! Restaurant Week really goes on for two weeks from March 17-22 & 24-29, 2013. It's a great way to sample some of the best dining in and around Boston at a discounted price. Who doesn't love a free meal? With Viggle, you can get free pizza at Papa John's or a free meal at your favorite restaurant just for watching television. All you have to do is download the Viggle app for free from iTunes and check in to your favorite shows everyday. The more you watch, the more points you get. You accumulate points and then trade them in for gift cards. There's a $5 Starbucks card, $5 CVS card, $15 Chili's card and a $10 Papa John's card. You can also redeem your points for a $15 Groupon, which you can use to save money on anything on Groupon. I recently got 35 Keurig K-Cups for free. You can also get gift cards to Gap, Old Navy, Amazon, iTunes, Lowe's, Sephora, Best Buy, Barnes & Noble and Hot Topic. Just a great app. But a warning: it can be very addictive! Ahhh, The Wendy's SuperBar. You'll only remember this one if you're of a certain age. The SuperBar had a taco bar and who could forget the lukewarm spaghetti and sauce! It was a shrine to gluttony, that sadly, no longer exists. Must have been to expensive and pain for workers. It does live on in this YouTube clip. Enjoy!